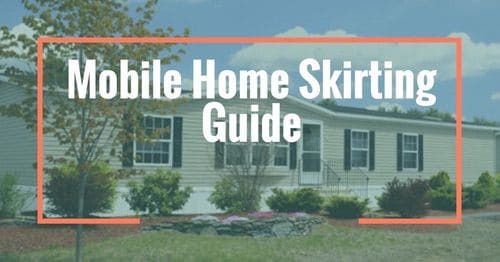 In our weekly series, Ask a Mobile Home Expert, we have been tackling common issues that we all face as manufactured home owners. 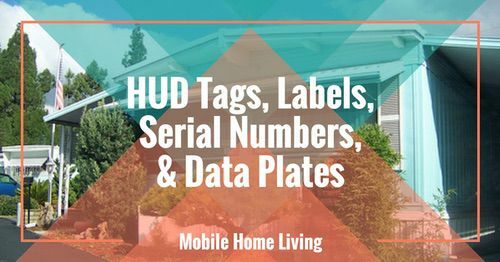 Today, we are talking about the infamous mobile home wallboards. Lots of homeowners plan on removing battens from vinyl-coated wallboards. If that describes you, these questions and answers should be helpful. Can you use things like tile, grout or mud to replace the battens? We were told no because of shifting during the Michigan winters and summers. Is this true? My home is a 2013 Redman so the walls aren’t the thin vinyl, but have the vinyl wallpaper over them. I would really love tile, but I am afraid of what could happen. 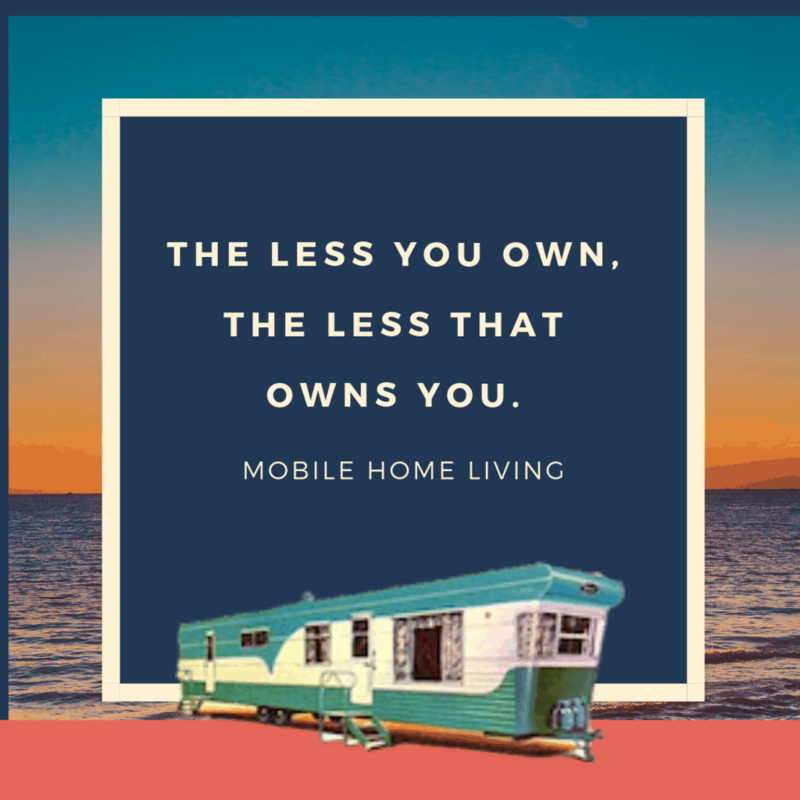 First, manufactured homes are now installed and setup based on a national code so homes are more likely to be setup in a way that decreases substantial shifting. Proper footers make homes less likely to shift or move. Of course, they have to be able to shift but not enough to cause damage. Second, today’s tiling products like DuraRock and HardiRock and the new grouting products available are a lot better than before. Many manufactured homeowners have successfully removed the battens and used a medium to fill in the gaps. 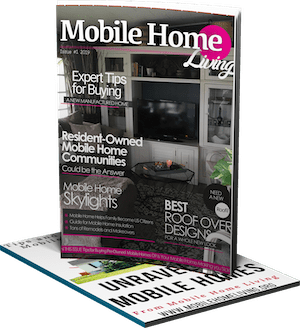 There’s a trick with adding grout between the panels, our article about updating vinyl walls in mobile homes goes into detail but the basics are to remove the batten, paint the gap with a good primer and let it dry before you grout or mud it – it will allow the grout/mud to adhere to the wall better and keep cracks to minimum. I think the advice was good advice years ago but with today’s installation and tiling products, I just don’t think it’s relevant anymore. After patching or filling in the gaps after removing battens from vinyl-coated wallboards, you will need to use texture and paint to create cohesiveness. I have pet damage marks on my wall how can I fix that? Should I just mud it like sheet rock? 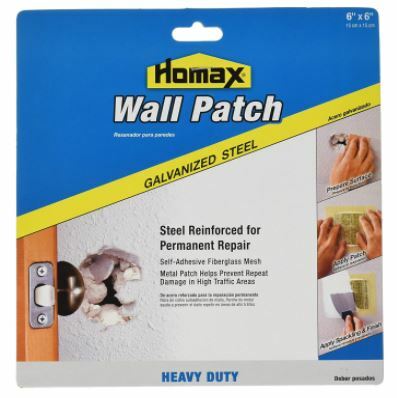 You can patch damage on vinyl-coated wallboards but you will need to cover it in a way that makes the patch and the wall cohesive. 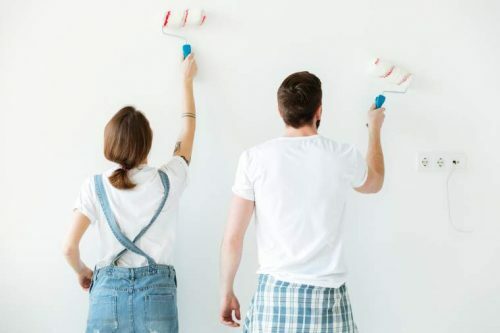 You may have a hard time blending well so adding a speckle or orange peel design before you paint the wall will help hide the patch. You could also cover the wall with wallpaper or bead board, too. This patch kit will work on vinyl-coated wallboard. I have a problem with the doors when adding sheet rock over the panels. How do I get the trim to match the door jam and the walls without replacing the doors? You’ll need to extend the jam and use molding to cover the transition. For areas where the jam was slightly short, he would take a razor blade, and score the drywall about 1/4″ in from the edge of where the trim would sit, then take a hammer, and punch down the Dry Wall even with the jam. So the outside edge of the trim would be intact with the Dry Wall, but under the bulk of the trim, the Dry Wall is smashed down. In areas where the jam was sticking out too far, he would do one of two things- in most of our rooms we were painting the trim, so he would use a paintable caulk behind the trim to seal it against the wall, then use a piece of square wood dipped in some soapy water to make the caulk flush with the trim. After painting over it, you can’t see where the trim stops and caulk starts. Do you have to use tape to cover vinyl wall strips? 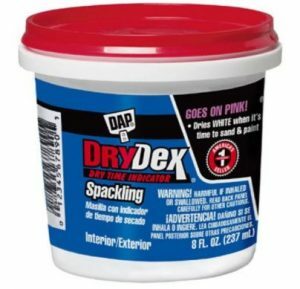 Can I use just the acrylic caulk? I’m painting and not adding bead board or Sheetrock to existing walls. I like to use caulk and mud more than tape. Mobile home walls don’t have the tapered edges like standard drywall so using tape is more difficult. Also, transitioning the seams is tough. 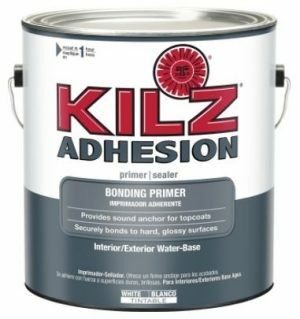 Many homeowners have had success using a good primer like Killz to cover the seams, then caulk it half way (don’t fill the seam up completely) and let that dry. Apply another coat of paint, let it dry, and then add more caulk and use a flat edge to get it seamless. The paint helps the caulk to attach to the surface better but it’s not necessary. We just purchased a mobile home and started painting. So far we have completed 2 rooms ( kitchen and master bedroom) but we are having a problem with the paint not sticking. We are using the Behr paint with primer but every time something hits the wall the paint easily chips off. Any suggestions? It sounds like the paint isn’t creating a strong bond to the wall. I’d remove the old paint and then wipe the walls down with a very strong industrial cleaner. Scrub the wall down a couple of times and let it dry overnight before repainting. If that doesn’t work, try a separate primer like Kilz or Gripper. 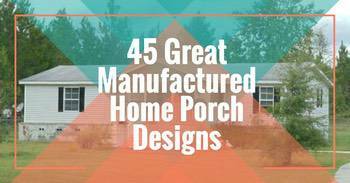 We hope you found some helpful information for removing battens from vinyl-coated wallboards. 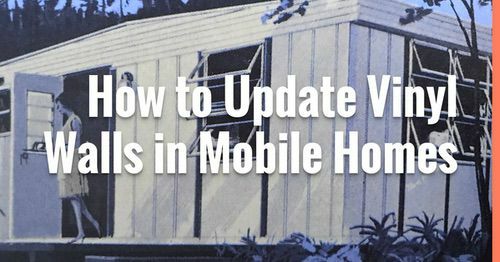 Watch for our Ask a Mobile Home Expert series next week when we continue to answer questions about mobile home vinyl walls. 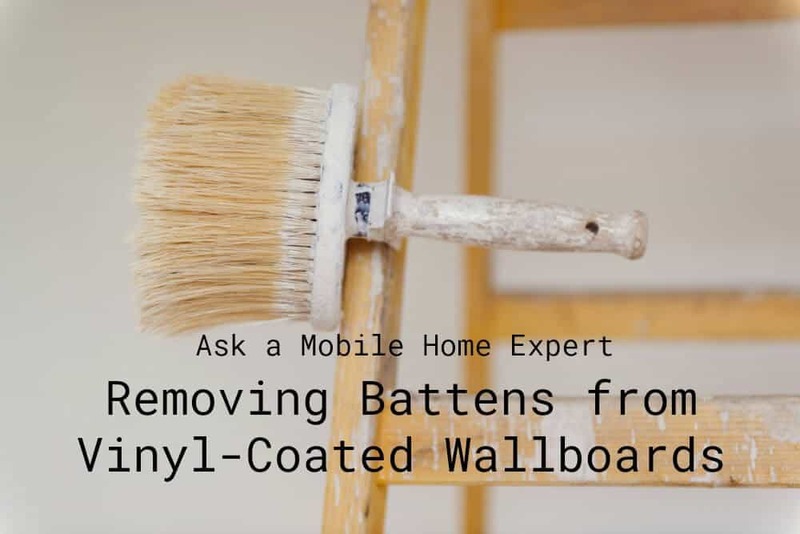 Do you have a question about removing battens from vinyl-coated wallboards in mobile homes? Comment below and we’ll do our best to help. Disclosure: Any answers to questions posed and any recommendations or information provided herein should not be used as a substitute of an expert or any relevant professional that has inspected the issues in person. Best of luck! What would be the BEST industrial cleaner for the vinyl walls for our trailer? we have the paneling and the vinyl (VOG) in our newly bought older trailer and I’d like to paint all the walls. Sounds like I have a big job ahead of us!! I’m a big fan of Dawn. For the really hard stuff like mold and mildew, I’ve had good luck with Jomax, TSP, and ZEP as well. There’s one called White Lightning (maybe Purple Lightning?) that comes in a gallon jug that worked very well for me at one job site. I can’t find anywhere in this article that explains how to remove the battens. The ones I encountered were H channels and I had to take a chisel and hammer to chisel off the front part of the H channel. Filling the cracks was the easy part! There’s got to be an easier way to remove the battens – and I’d sure like to know what it is. Removing battens is mostly a lot of gentle preying. 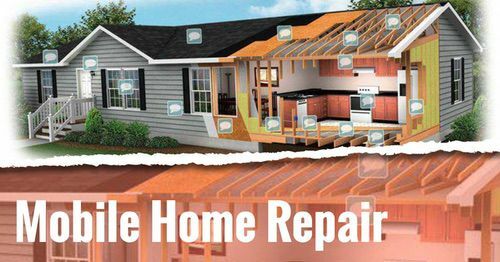 Most builders used flat battens and finishing nails or glue but some have the J-channel or h-channels (the h-channels you will likely damage in the process). Why replace the battans? Is there a health risk? I’ve been wanting to do this but we decided its not necessary. I would like to take the strips out and fill with a product that will be easily painted over. Again, why replace the battans? I think we just use different terms. In this case, the battens are the strips that cover the seams where the wallboard meets. Different parts of the country use different words, I suppose?